If you are a regular here, sorry that I haven’t posted in a while. If you just started reading, welcome! Life has been more than a little busy trying to work out two in school, homework, soccer, karate, etc. etc. etc…. 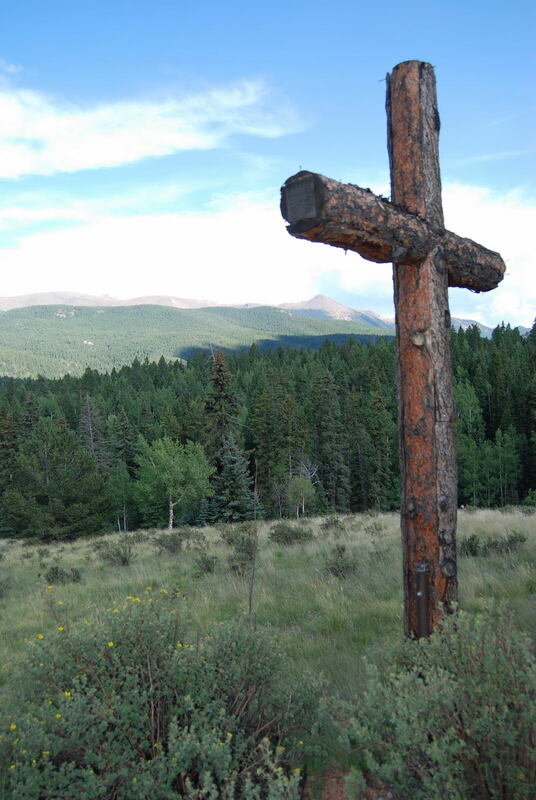 We have just returned from our church camping retreat at John Wesley Ranch in Divide. We headed up Friday evening and just got home! What a weekend. The weather could not have been nicer. The kids stayed busy with the many planned activities including rock hounding, ice-cream making, a scavenger hunt, crafts, and smores. They also had fun just running around with their friends. The big news of the weekend was that Sam caught his first fish, all on his own! We played a friendly (and not so friendly) game of Wiffle Ball that really kept us laughing. This morning, we ended our time together with a short service at the outdoor sanctuary. Enjoy the pictures! Sam caught his first fish! Alice and Paige making ice-cream! Sam enjoying his creation! Yum!